One of my favorite parts of traveling is collecting memories for my home. A huge portion of the items found on my shelves and my walls are things that I’ve collected from my travels. 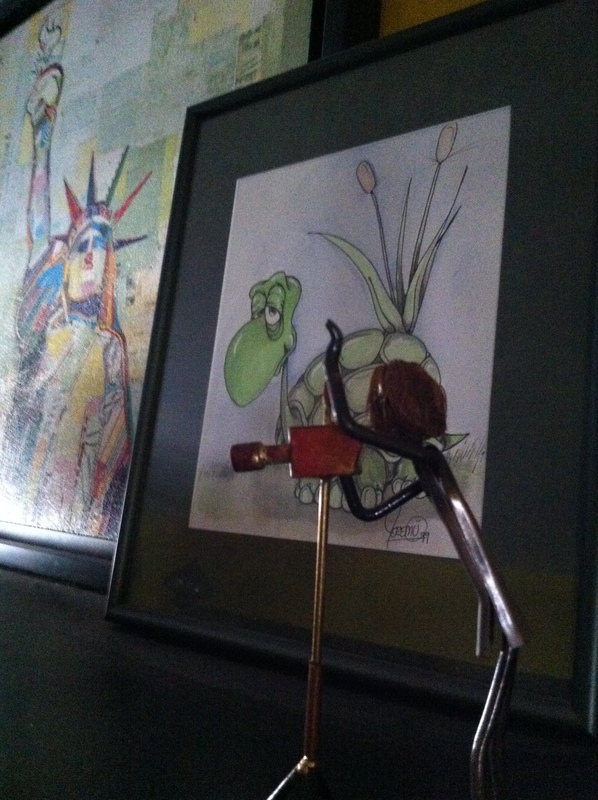 Co-Author of Pete the Popcorn, Joe Kelley, went around the house and took photos of different items that have been picked up throughout the years, to share with you today. Maybe this will give you some ideas of items you’d like to collect or souvenir ideas that you would like to try. 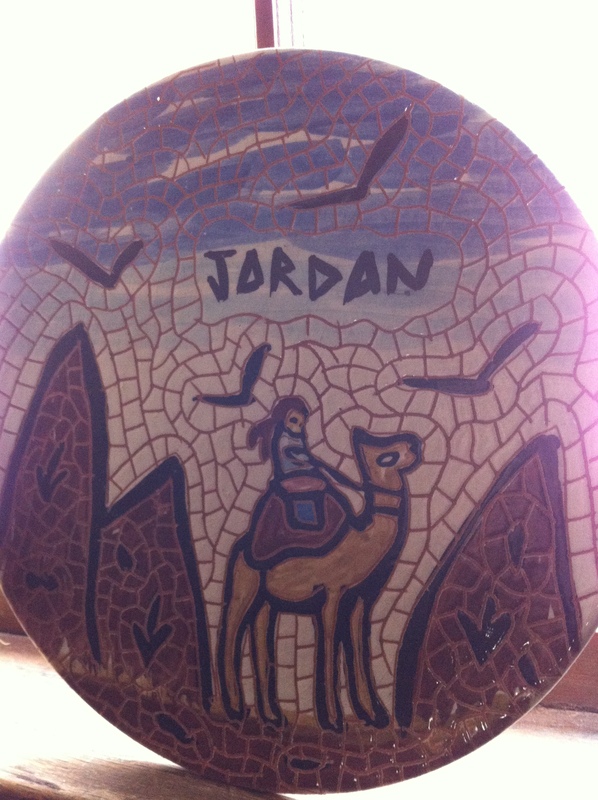 This plate above was purchased in Jordan on a whim. We were looking for something unique and these plates were one item that I did not see in every single shop. The memory attached to the plate, though, centers more around the experience and the people that we spent our day in Jordan with. Oh— and the Petra beer. The Petra beer was insanely good. 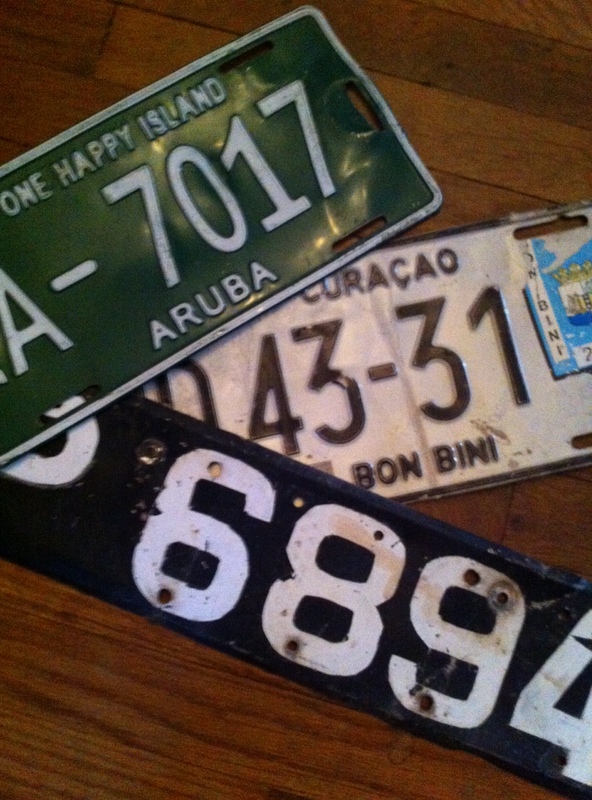 If we have any given souvenir “collection,” it would be license plates. Lining the very top part of our walls, near the ceiling, in the living room, this collection is colorful, rustic and unique— and there always seems to be a story about how we got the plate. 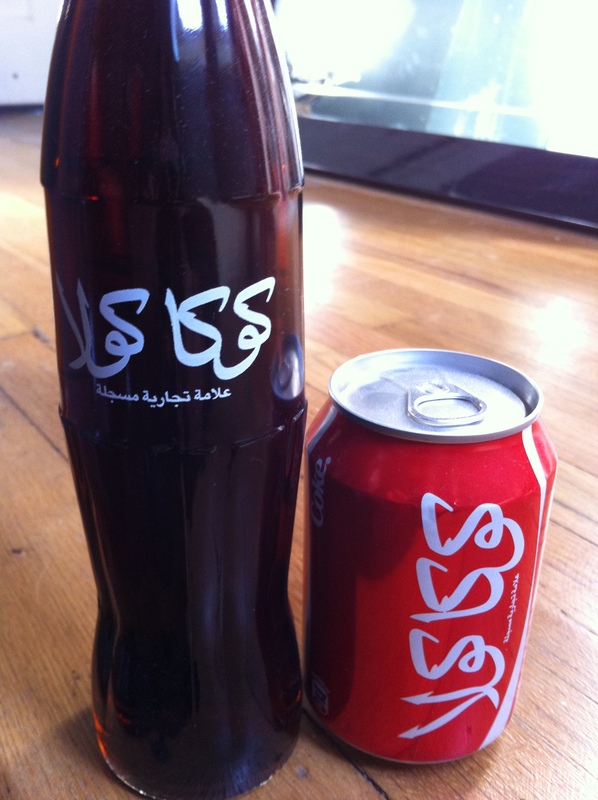 Simple Coke cans and bottles, labeled in a unique language can make great gifts for kids, while opening their eyes to the different cultures and large-ness of the world. I enjoy receiving souvenirs, too. 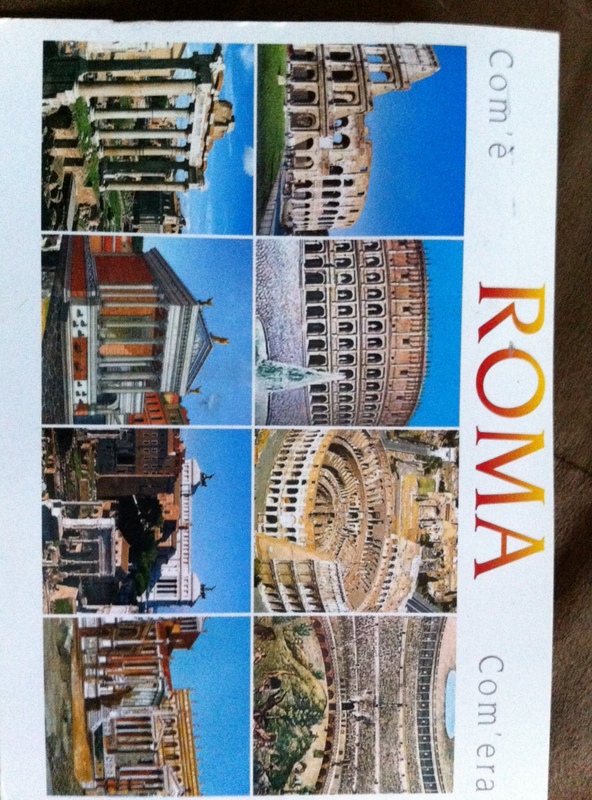 Someone sent me this postcard from Rome… and now it’s somewhere that I would like to visit. Will I get that chance soon? Maybe. Magnets are by far the smallest, lightest, cutest, most colorfully inexpensive trinket that you can take home to people… or keep for yourself. I pick up magnets on cruise ship port days– these can be used in the room (did you know that all cruise ship walls are magnetic?) and then taken home for cheap and very unique souvenirs. My Mom is one of my favorite travel companions… but she has a friend named Judy— and Judy can be crazy! Now, don’t get me wrong, I like Judy. But Judy makes fun of the things I may purchase. 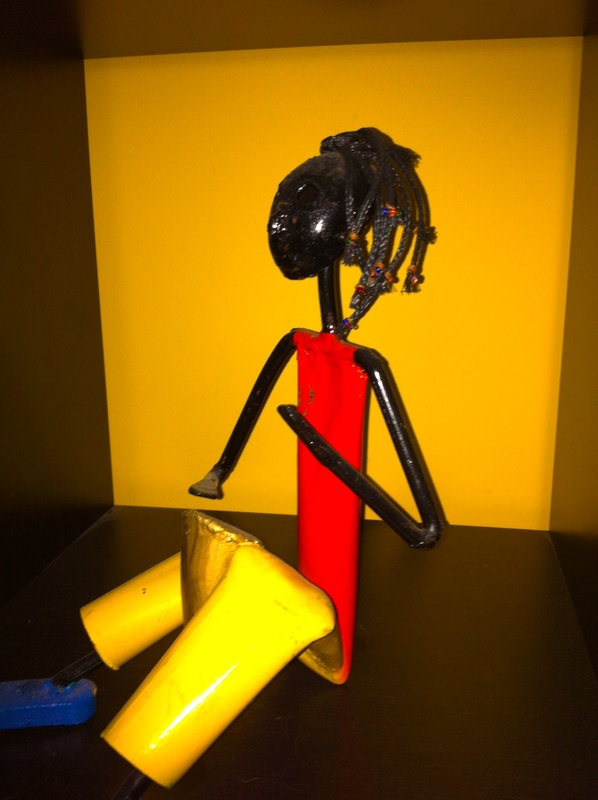 This little statue was purchased on the island of Grenada in the Caribbean. My Mom, Judy, Joe and I all went tubing down a river during our day in Grenada. We had a great time and I really wanted something to remember this special island by. So I saw this on clearance at a gift shop by the ship. I knew it would be a guaranteed conversation-starter, so I bought it. Well, Judy made fun. Apparently this wouldn’t have fit in with her “country” decor. This photographer statue might not reflect where I bought it– Cartagena, Columbia– but it does reflect something I love and have a passion for, photography. Souvenirs don’t always have to come with the name of the country splashed across the front. 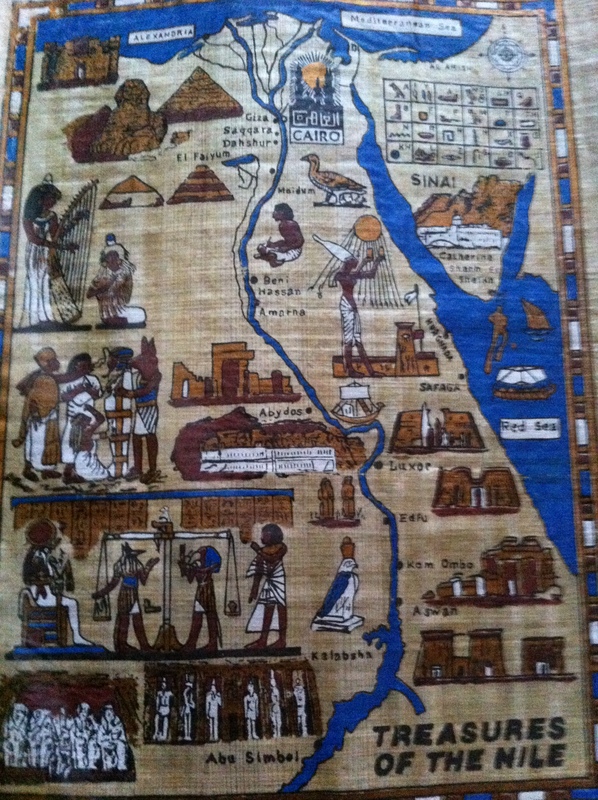 Egypt was the best place to pick up very inexpensive and unique trinkets for youngsters in your life. Always pick up stuff about history for 7-8-9-10-year olds— when they have a classroom research project due, they can use the gift that you have given them, earning them an A+ and you a place in their heart forever. 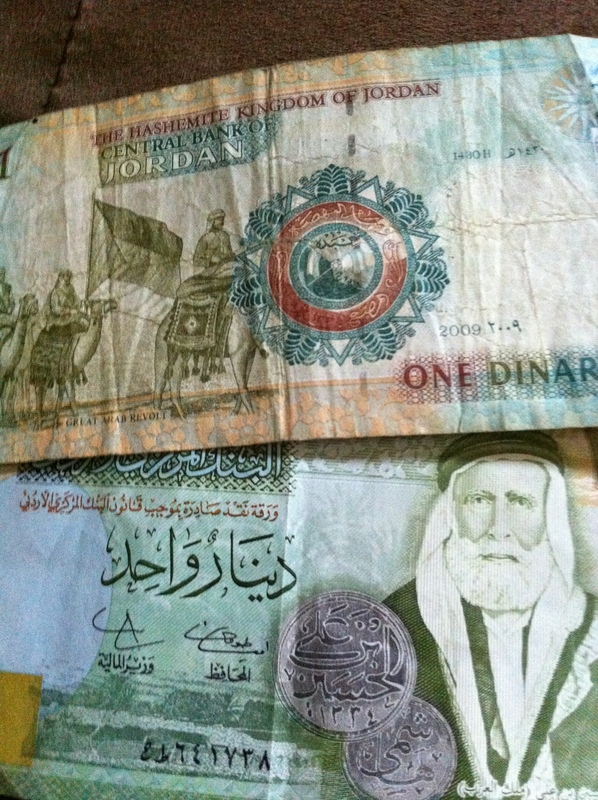 Currency is a souvenir that is always available. 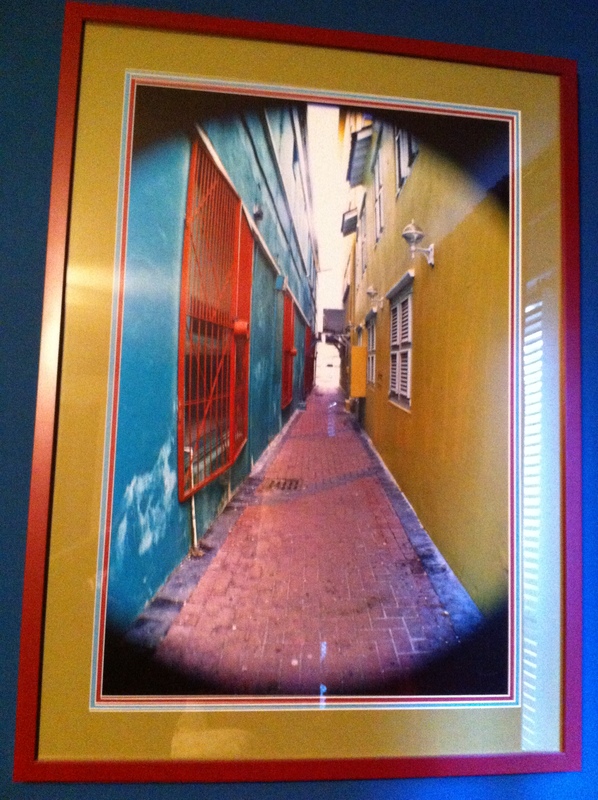 This is by far my favorite type of memory from any trip— taking a unique photo that I snapped, having it blown up and framed– and placing it on my wall. That shot is still one of my favorites. Sometimes, I buy things just because they’re cheap. 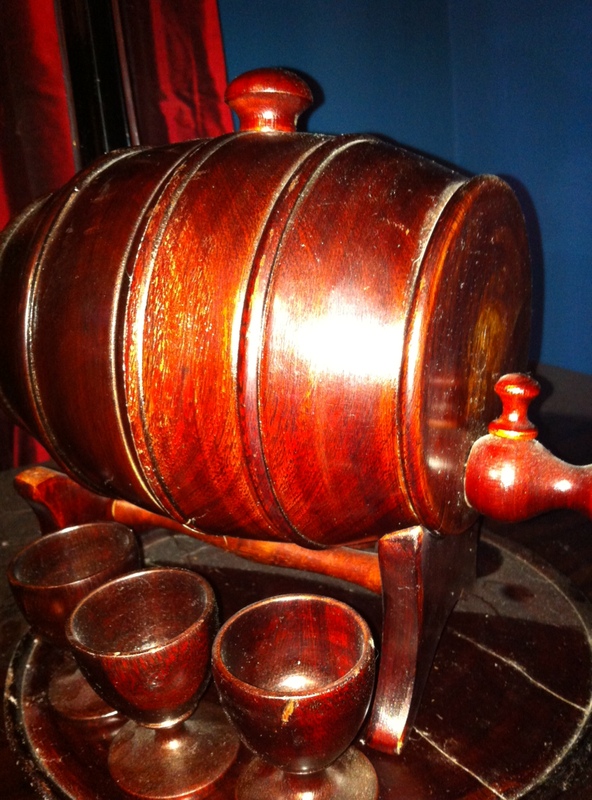 This barrel for serving wine? It was only $8 in Nicaragua. I’m not afraid of taking a gag gift, either. 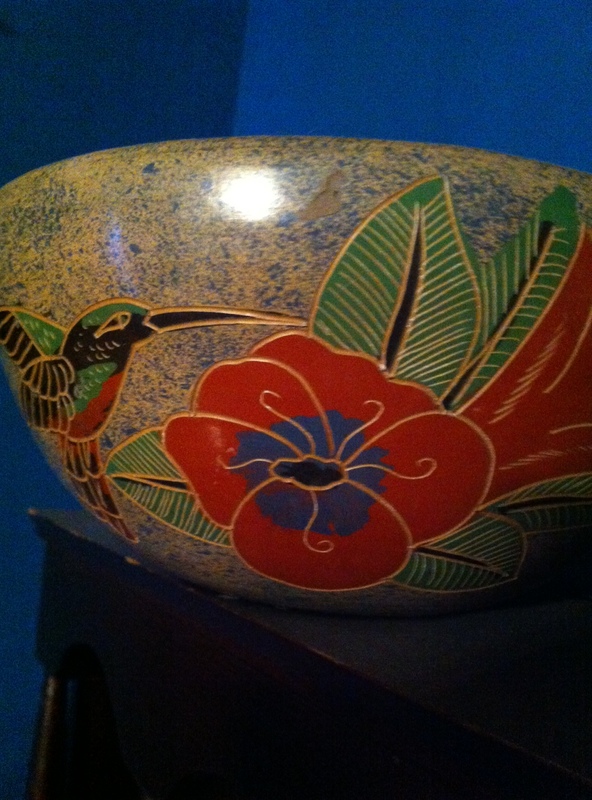 These bowls were the thing in Nicaragua. No, really. There were at least 25 kids wandering the streets, peddling these bowls. Every single of them claimed that it was handmade by their mother. Now, either they were lying or she was one busy woman! Our friend Jason bought one and then proceeded to approach every person from the cruise ship, asking them if they would like to purchase his bowl, “handmade by his mother.” At the end of the day, when the gags were over, Jason gave us the bowl. It’s cracked on the other side of this photo, but you’re damn right that we’ll keep that bowl just for the story. 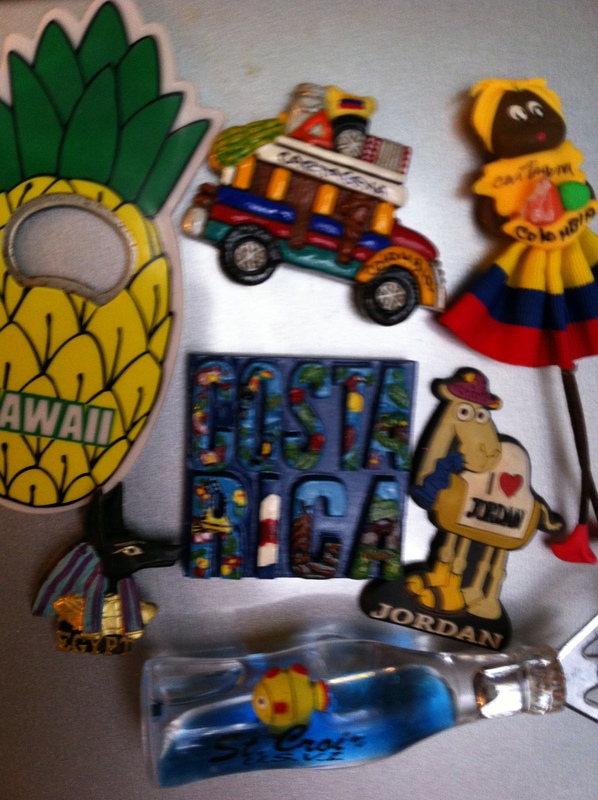 What are your favorite traveling souvenirs or memories? For the next few weeks, I’ll be pulling out some random items from our National Tour that got lost in the shuffle. As you know, we traveled to 25 states during the months of September, October and November. In mid-to-late October, we were fortunate enough to be tooling around Florida, visiting some schools and getting some work done on the now-released Pete the Popcorn iPad version, available here. While we were there, we also took advantage of our proximity to one of my favorite places on the planet: the Florida Keys. Driving down U.S. Route 1 all the way to Key West can take your breath away. It can also relax you… or get you drunk… or inspire your artistic side… or turn you into a Parrothead. Whatever happens to you, you’re going to love it. Oh, but first, make sure you create a playlist of music like this. Blast it in the car. The start of your scenic journey. See all the State Troopers in a nice row? We went on the busiest weekend of the year: Fantasy Fest… all those extra people require all of these extra officers. The first Key you’ll pass through, Key Largo. The 84,351 acre National Key Deer Refuge is located in the Lower Keys on 25 islands and consists of a patchwork of small and large tracts of pine forest, mangrove forest, hardwood hammocks, freshwater wetlands and marine waters. Key deer are found on these 25 islands. The Key deer is the smallest sub-species of the Virginia white-tailed deer. Because the Key deer population is low and remains under threat of extinction from human interaction, the subspecies is federally listed as endangered. The current population is estimated between 600 and 750. Key deer can best be seen at dawn or dusk in the field at the far end of Key Deer Blvd. and along Watson Blvd. on No Name Key. I’ve driven down to Key West on a few occasions… and have never seen one of these little guys. Until this time. It was pretty cool. What made it even better was this… a mommy deer. Of course, traveling anywhere during election season, you’ll see plenty of signs. But I got a good chuckle out of this one… Scott Hopes for State Senator. I bet he does. Approaching the No Name Pub, I really liked these signs. And it makes sense, doesn’t it? Nothing worse than seeing a beautiful tree all marked up with crap. Will somebody buy this for me? I don’t know where I’ll drive it. But I want it. Traveling in the Keys is great… but to make it even greater, camp! And send me the thank-you note later. Fantasy Fest is just this insanely wild, adult-themed celebration of Halloween. It goes on for the entire week before Halloween, culminating in the biggest celebrations on the Friday and Saturday night before Halloween. Catch the parade on Saturday… and leave with a ton of beads. I opted for a pretty simple costume… and the ladies loved it! These… er… ladies were out for a good time. Seriously the best costume I saw because of it’s simplicity and dry humor. Watching this guy shrug at everyone was hilarious. But before we skipped town, we had to stop and grab a pizza from Mr. Z’s… I had it for the first time in 2004 and dream about it all the time. Just good, greasy, cheesy pizza. For more of our travel-related posts, be sure to browse through our archives.